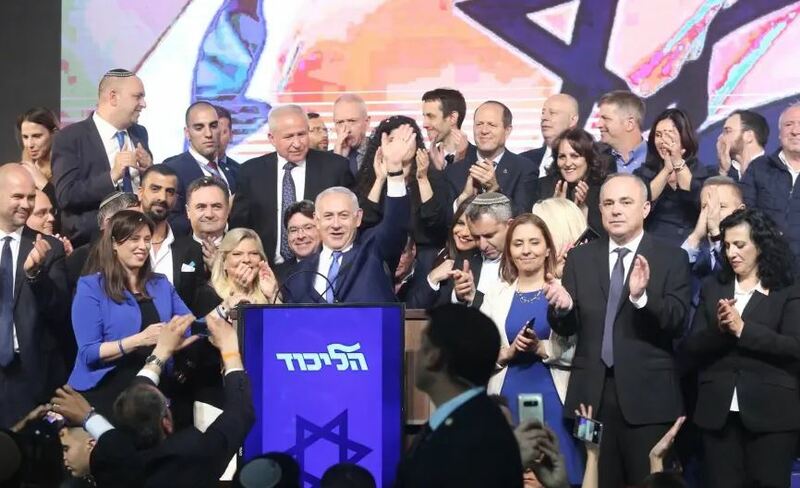 Israel: Bibi squeaks out a victory… – The Tundra Tabloids……. Both Likud and Blue and White receive 35 seats but right-wing bloc has clear majority with 98% of votes counted. Prime Minister Benjamin Netanyahu won Tuesday’s election and will be able to form a governing coalition able to withstand a bribery indictment by Attorney-General Avichai Mandelblit, according to the results with 98% of the vote counted. Mandelblit indicted Netanyahu pending a hearing on February 28, details of the indictment that were not permitted to be released during the election could be leaked as early as Wednesday. The hearing is expected to take place in July and the decision on the final indictment some six months later. Likud won 35 seats, Shas and UTJ eight each and URP and Yisrael Beytenu five. Kulanu, whose leader Moshe Kahlon said he would join a Netanyahu-led government but leave following a final indictment, won four seats. Blue and White won 35 seats, Labor and Hadash-Ta’al six each and Meretz and the United Arab List-Balad four each. The New Right, Zehut and Gesher did not cross the 3.25% electoral threshold. However as this dramatic election has shown, anything could change as the final votes from IDF soldiers, prisoners, hospitalized and diplomats are counted. Previous Post Previous Post US: Progressives have a different purpose for government than securing citizens’ natural rights. They want to use the vast powers of government to change America……. Next Post Next Post EU trembling over the rise of civilizationalist parties……..